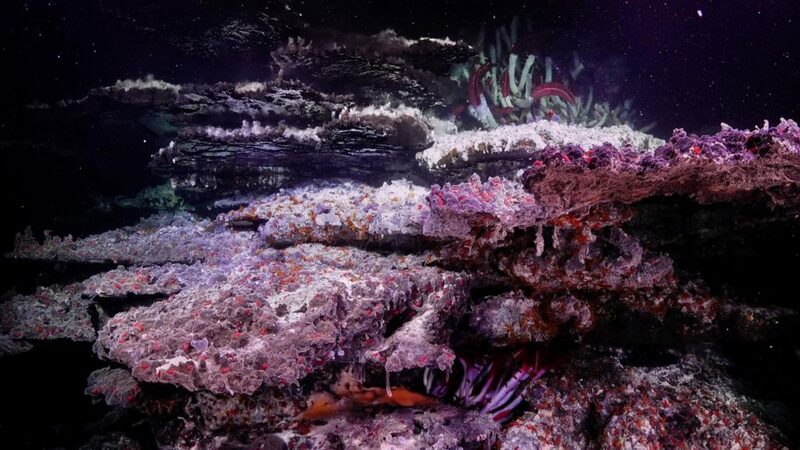 While exploring two types of unusual deepwater environments (hydrothermal vent and cold seep environments), researchers came across something unexpected: reflective water pools. The expedition was an unprecedented and thorough study of hydrothermal and gas plumes — two environments which act as thriving oases in otherwise cold and unfriendly waters. The team used advanced technology that included 4K deep-sea underwater cameras and radiation tracking devices, as well as sediment and fluid samplers working via a remotely operated vehicle. In this surreal world, researchers discovered large venting mineral towers reaching up to 23 meters in height and 10 meters across. Due to superheated hydrothermal fluids beneath them (366ºC), it creates a mirror-like illusion. This feature, while visually stunning, wasn’t the most impressive thing for researchers: the waters in the area were laden with minerals and metals, and were generally highly sulfidic — yet these sites were teeming with biodiversity and potentially novel fauna. Life, as they say, finds a way. “We discovered remarkable towers where every surface was occupied by some type of life. The vibrant colors found on the ‘living rocks’ was striking, and reflects a diversity in biological composition as well as mineral distributions,” said Dr. Mandy Joye, who led the interdisciplinary team. Hydrothermal vent fluid collects under the ledges and provides the chemical energy driving the entire ecosystem of microbes, scale worms, and riftia (tube worms). Image credits: Schmidt Ocean Institute. But researchers also came across a stern reminder of how we humans are affecting these pristine environments: a lot of trash. The team will publicly release the results of the samples, in the attempt of gaining a more complete understanding of the Gulf of California system.